Will The Sims 5 be released in 2017? EA’s announcement of the expansion pack City Living for The Sims 4, speculations have been going around the internet about a potential release of The Sims 5. 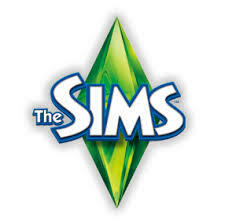 However, EA has not provided any official information regarding to The Sims 5, but a new version of The Sims is about time, according to the fans. Another speculation is about this The Sims game being launched in early 2017, despite of the initial rumours about the releasement of this version taking place in 2019. All of these speculations arose due to the complaints about the current fourth version of the game; it did not meed the expectations. It would be a logical step for EA to take to quit the current production of The Sims 4 and its expansion packs and start to develop The Sims 5. Additionally, fans are wishing for an augmented reality mode (AR mode) for The Sims 5, comparable to the app Pokmon Go. An AR mode for this game would result in us being able to see the Sims on our mobile devices while walking in the streets. On the other hand, there is another group of fans that think The Sims is a computer game and should stick to that; it would not have a good chance of developing well, or even no longer have the same appeal as it has right now. For instance, EA has developed an app for mobile devices before, but this is a very limited game, and most of the players do prefer the version for the PC. Despite an AR version, fans have also been speculating about a virtual reality (VR) mode. The reason for this is that it would be much appreciated, since the Sims’ world would fit perfect in the VR gaming platform. Fans would love to see this happen, but also expect the price for this VR version would be significantly higher than the other versions of The Sims. The Sims 5: the first version in VR? New game release after ‘The Sims 4’? What innovations should The Sims 5 include?